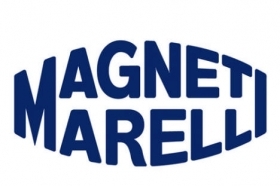 Magneti Marelli S.p.A., the Italian supplier which is part of Fiat S.p.A., has formed a 50-50 joint venture with Wanxiang Qianchao Co. to produce shock absorbers in China. Under the agreement signed last week, the companies will build a plant in Xiaoshan in east China's Zhejiang province, according to a statement from Wanxiang Qianchao. The plant will launch production in 2015 with an initial annual output of 5.7 million shock absorbers. Total investment in the plant is estimated to be 136 million yuan ($21 million). Magneti Marelli has plants in Shanghai, Guangzhou and Wuhu that produce powertrain, exhaust, lighting and electronic parts. It also has formed a joint venture in Shanghai with SAIC Motor Co. to make hydraulic components for automatic transmissions. The Italian supplier entered the Chinese market in 1996. A subsidiary of leading Chinese auto parts maker Wanxiang Group, Wanxiang Qianchao makes suspension, brake and driveline parts.